The global wind energy industry enjoyed another strong year in 2017, installing a total of 52,573 megawatts worth of new wind capacity, increasing the global cumulative installed capacity up to 539,581 megawatts (MW), as “dramatic price drops” exemplify the current state of play around the world. The Global Wind Energy Council (GWEC) published its annual market statistics on Wednesday, revealing yet another strong year for the global wind energy industry, but a year still well down on 2015 and continuing a recent downward trend. China “only” installed 19.5 gigawatts (GW) in 2017, down from the 23 GW it installed in 2016 and the 30.5 GW it installed in 2015. US wind installations were around the 7 GW mark, followed by Germany with 6.5 GW. 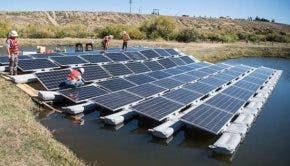 “The numbers show a maturing industry, in transition to a market-based system, competing successfully with heavily subsidized incumbent technologies,” said Steve Sawyer, GWEC Secretary General. 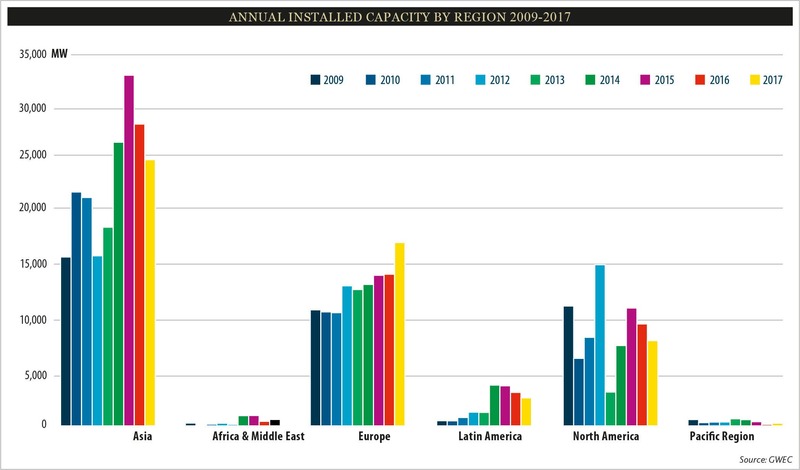 “The transition to fully commercial market-based operation has left policy gaps in some countries, and the global 2017 numbers reflect that, as will installations in 2018. 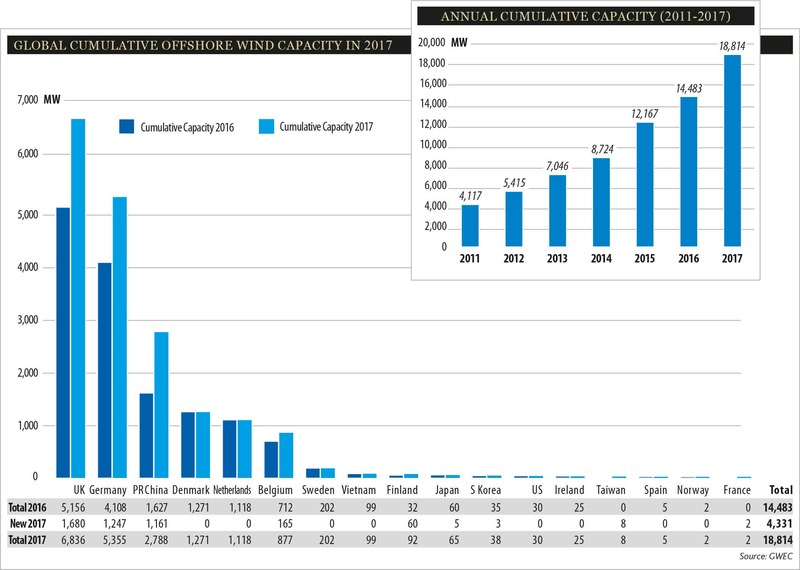 The hallmark of the wind industry in 2017 was “cratering prices for both onshore and offshore wind” which “continue to surprise” according to the Council, which highlighted recent tenders in countries such as Morocco, India, Mexico, and Canada which have been awarded around the $0.03/kWh mark — and even below $0.02/kWh in Mexico. GWEC also highlighted the world-first subsidy-free offshore wind tender which was awarded in Germany earlier this year — the OWP West and Borkum Riffgrund West 2 offshore wind farms, awarded to DONG Energy (now Ørsted) in April. The UK still leads the way for offshore wind overall with nearly 7 GW, followed by Germany and then China making a strong run for third place.